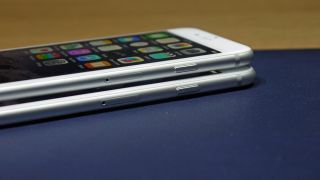 TechRadar Pro is giving away a brand new 16GB Apple iPhone 6, one that's worth a stonking £539. Apple's new iPhone 6 has been hailed by our own Gareth Beavis as one of the best phones the company ever created. To enter the competition, there are no questions to answer, no forms to fill (well almost) and no details to be given. We only need you to sign in to our weekly TechRadar Pro newsletter. You can find the email newsletter signup form on the right hand side column of this page and it looks like this. If you want to do it from a tablet or a mobile phone, you will have to switch to our classic view (which is at the bottom of our page). Please note that this competition is only open to UK residents over 18 years of age and will run until Friday 19 December 2014 at 23:59. We will then choose one newsletter subscriber at random and that person will be contacted soon after.